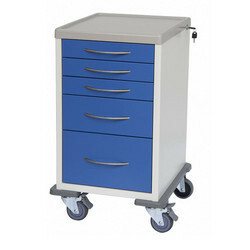 Our product range includes a wide range of drug trolley. Available in Stainless steel/ Epoxy powder coated. Both are also available in Stainless Steel. CNC machine pressed & bent Stainless steel top. MS drawers fitted with heavy duty imported ball bearing sliding channel. 125mm, dia. synthetic castor wheels, two of them with breaks, fitted diagonally. 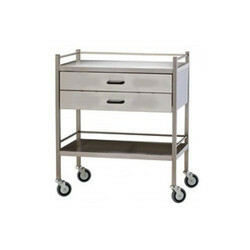 Looking for Drug Trolley ?